VIZ Media, LLC (VIZ Media), a premier company in the fields of publishing, animation distribution, and global entertainment licensing, announces the home media release of POKÉMON THE SERIES: SUN & MOON COMPLETE COLLECTION on November 6th, 2018. 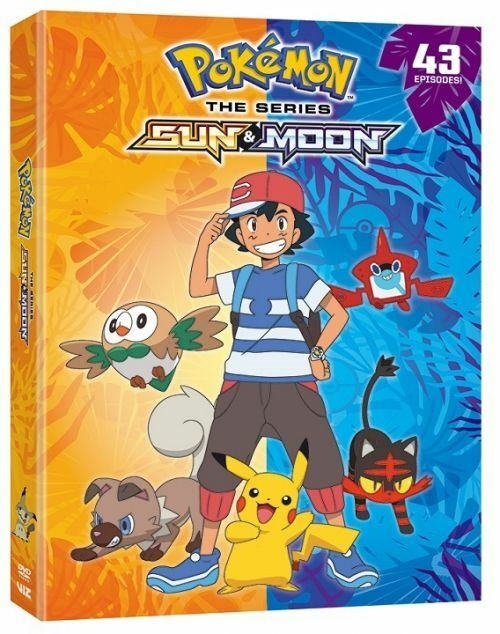 Under license from The Pokémon Company International, the POKÉMON THE SERIES: SUN & MOON COMPLETE COLLECTION will debut exclusively on DVD and will feature all 43 episodes on six discs. The set will carry an MSRP of $49.99 U.S. / $57.99 CAN with episodes presented with English-dubbed as well as English SDH-subtitled dialogue options. Extras include clean opening and ending credits.